Enslins offers quality and economical car and limousine transportation service to the Tri-State Area and all the area airports from NJ.﻿ Serving Morris County NJ including but not limited to Parsippany, Morristown, and Summit NJ. 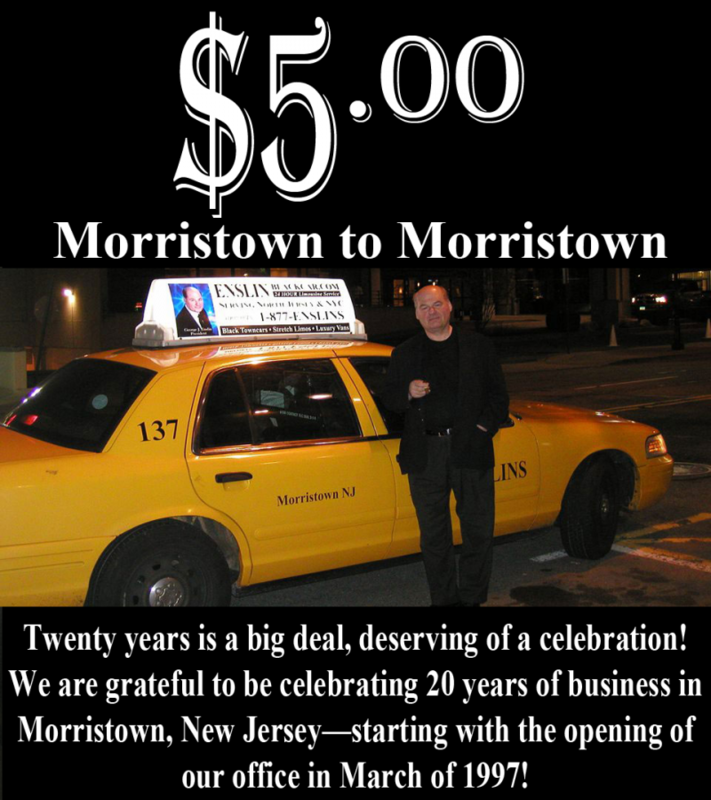 Need a taxi locally? We will come and pick you up and take you to where you need to be. Car, and taxi service including courier services, and now emergency medical transport, to and from airports and surrounding areas from Parsippany, Morristown, Summit, and all of Northern NJ. Copyright 2017 ENSLINS. All rights reserved.